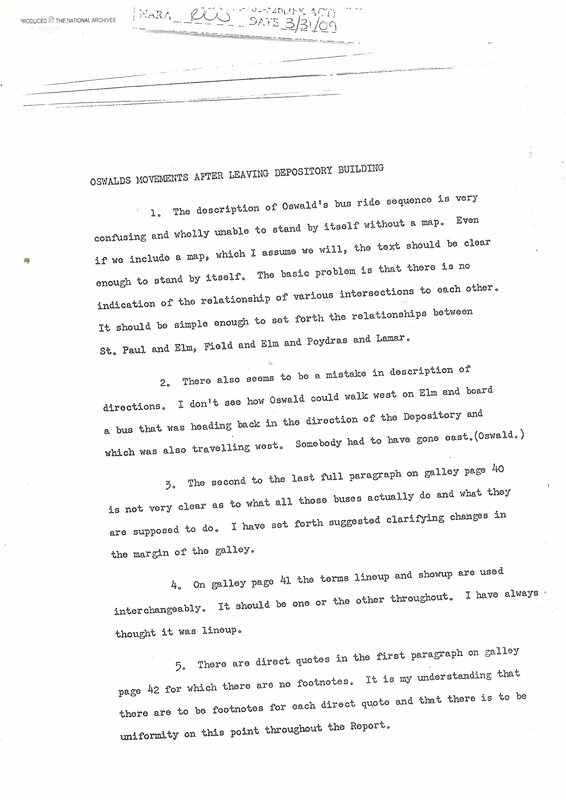 Thanks to Malcolm Blunt I have been handed a document on Wesley Liebeler, who was one of the senior lawyers of the W.C. And although this document has been described at 22november1963.org.uk , there is no active link to the document itself. 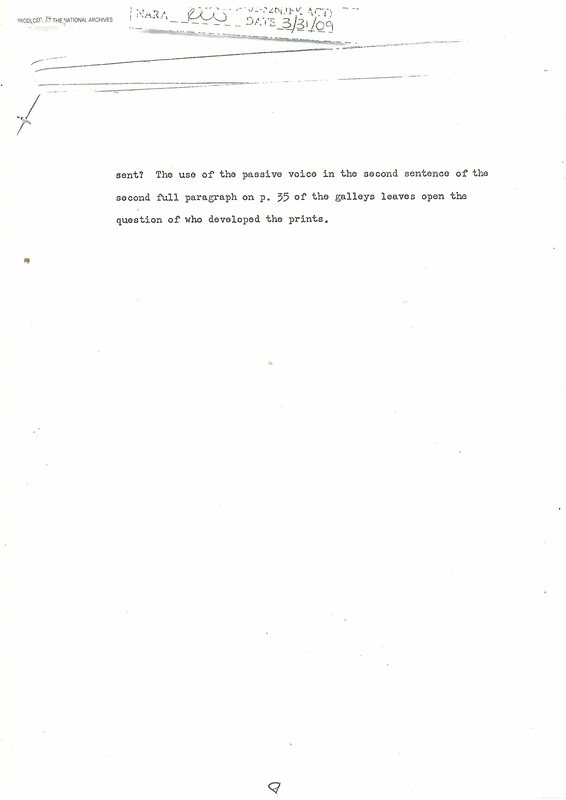 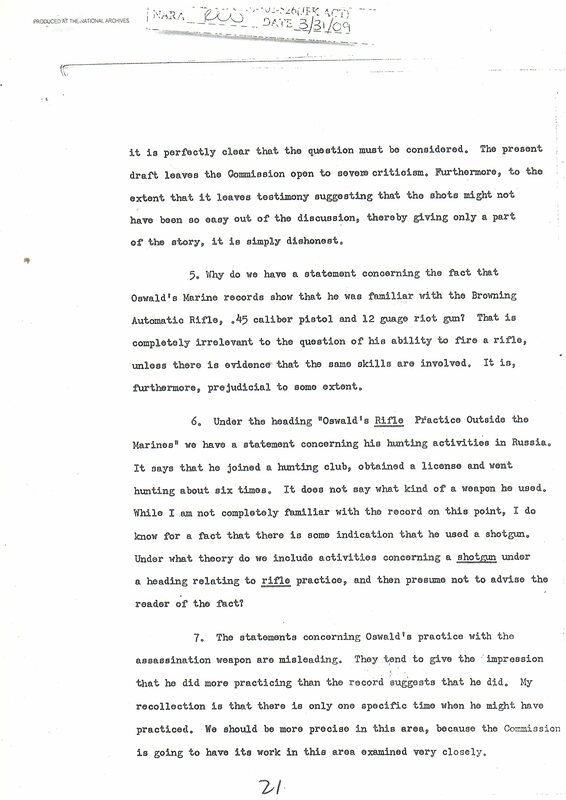 Liebeler is ploughing through and raises his questions, offers feedback and proposes amendments to Chapter IV of the Warren Report dated Sept. 6th 1964. 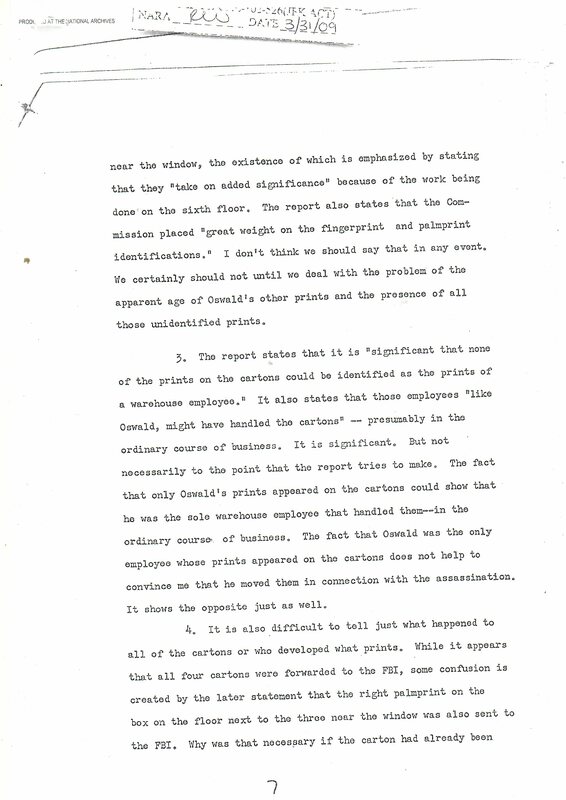 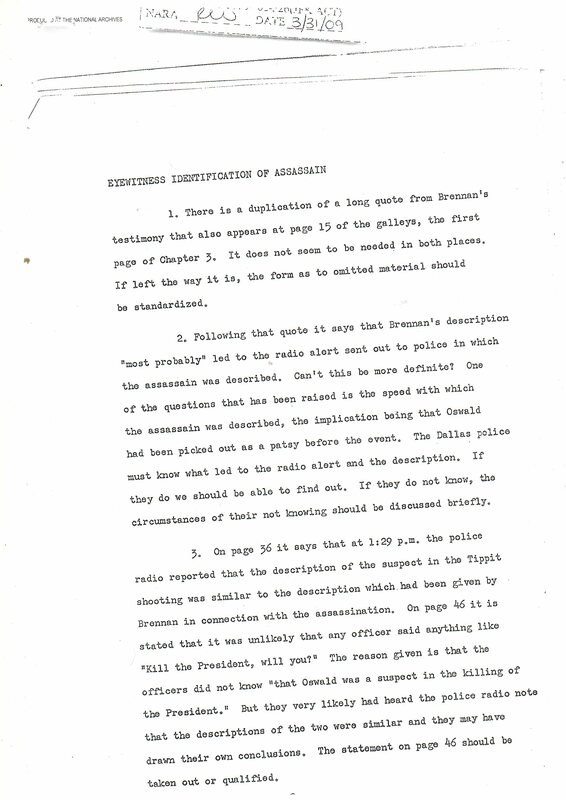 Compared to the date that the Warren Report was issued to L.B.J. 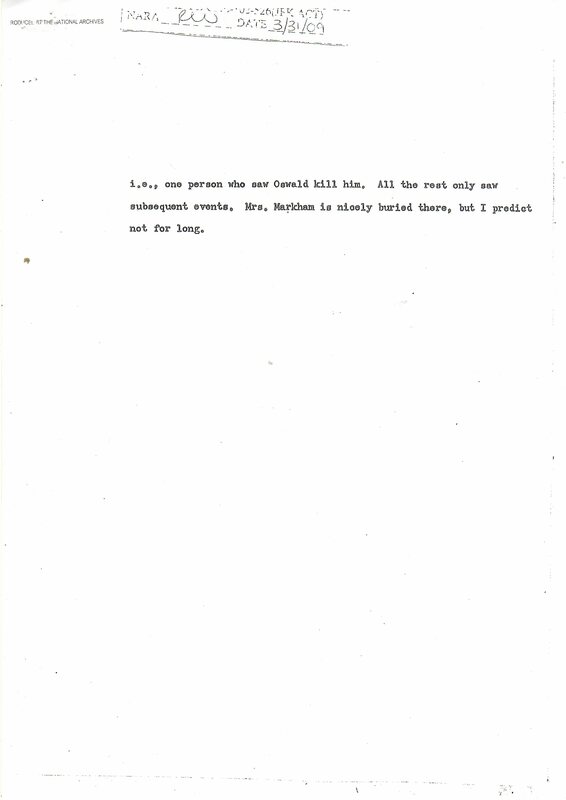 on Sept 24th 1964. 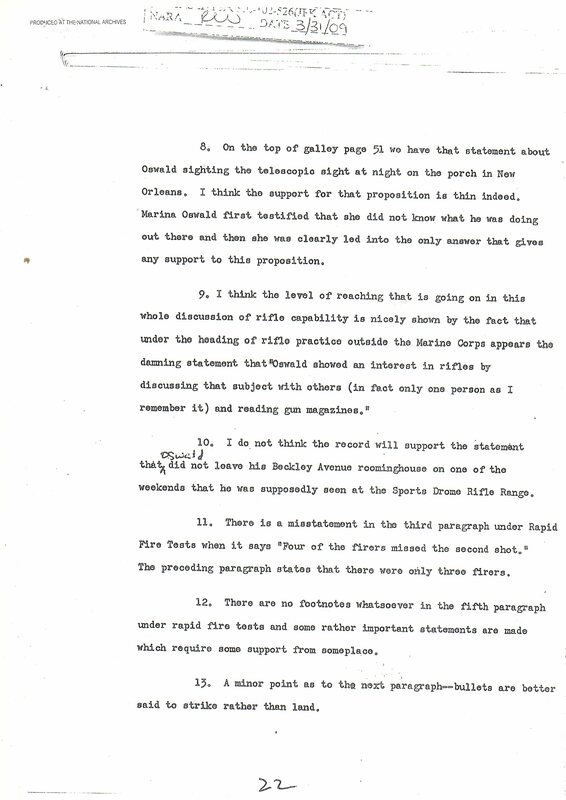 Not that much notice was given to Liebeler’s remarks since not a lot changed in those 18 days. 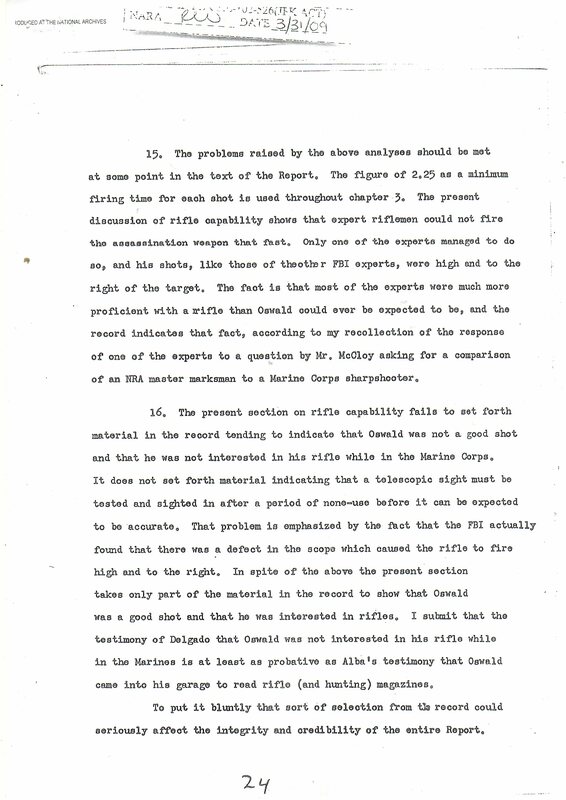 Ladies and gents have a good read, as some of his observations are golden. 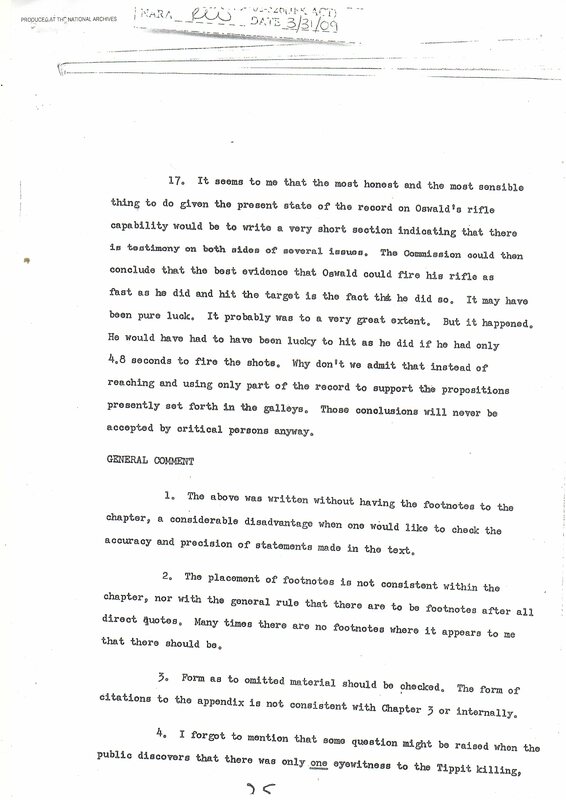 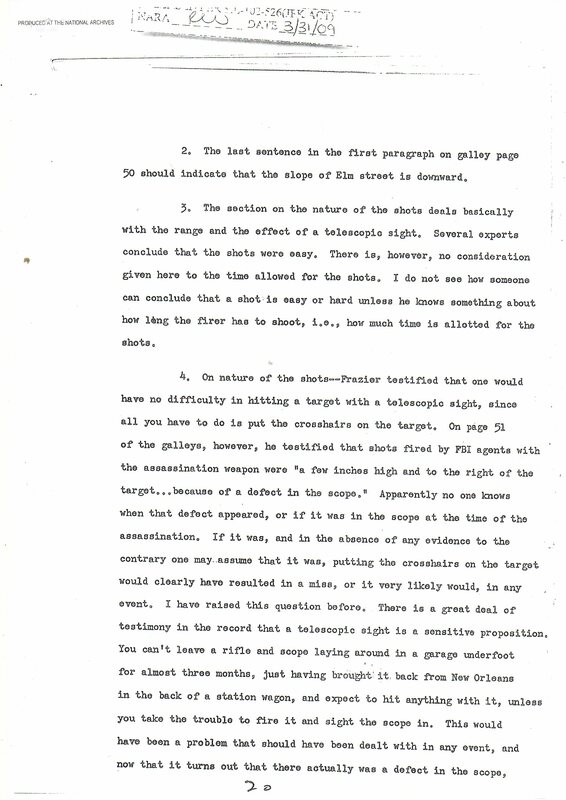 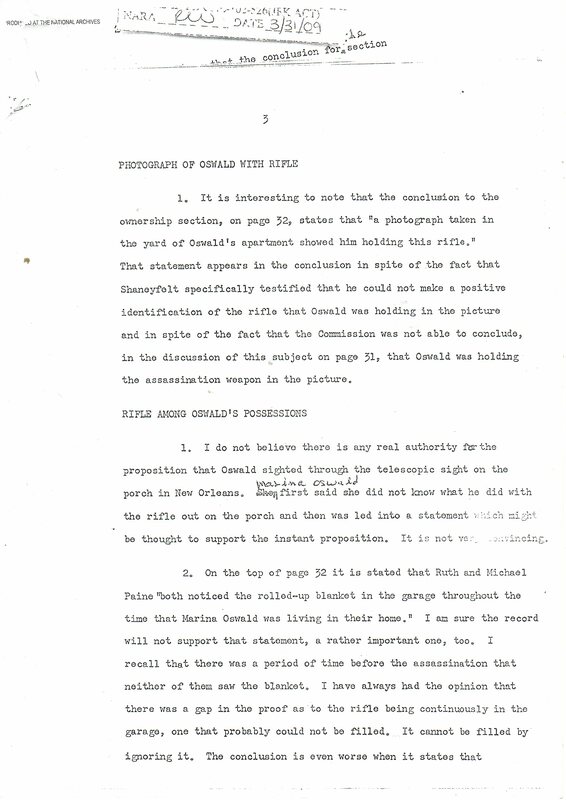 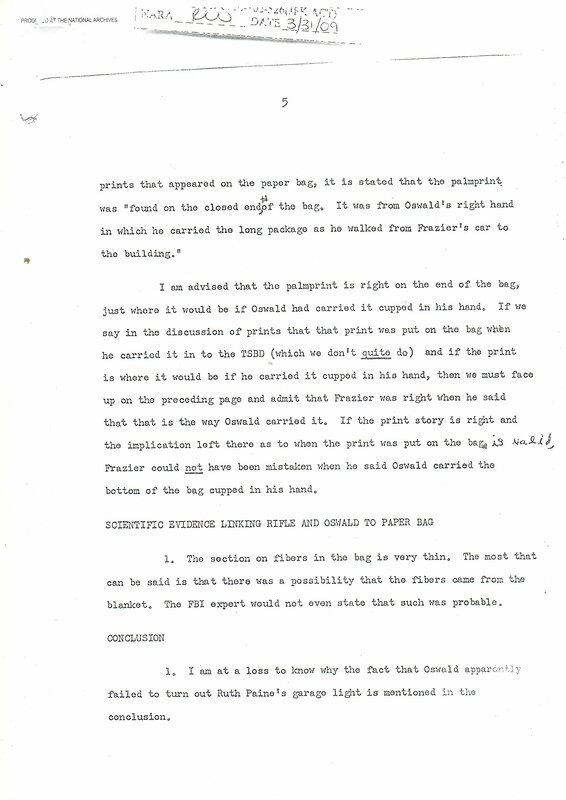 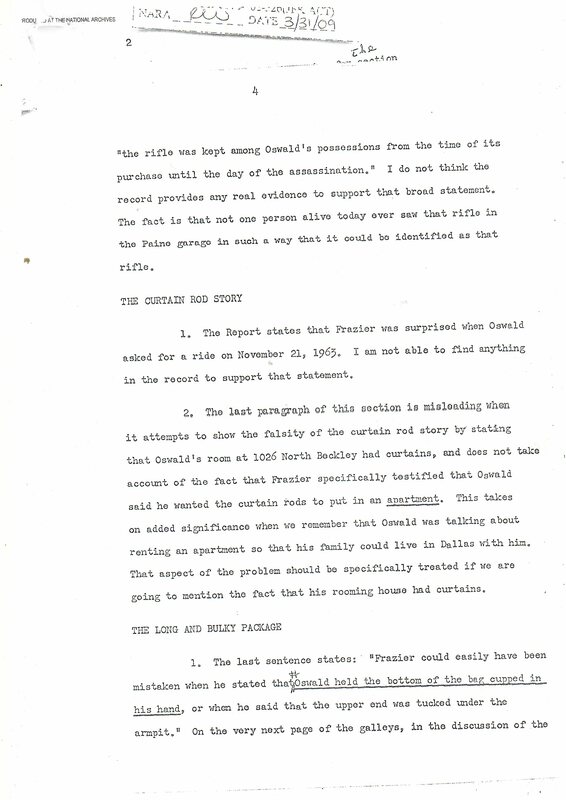 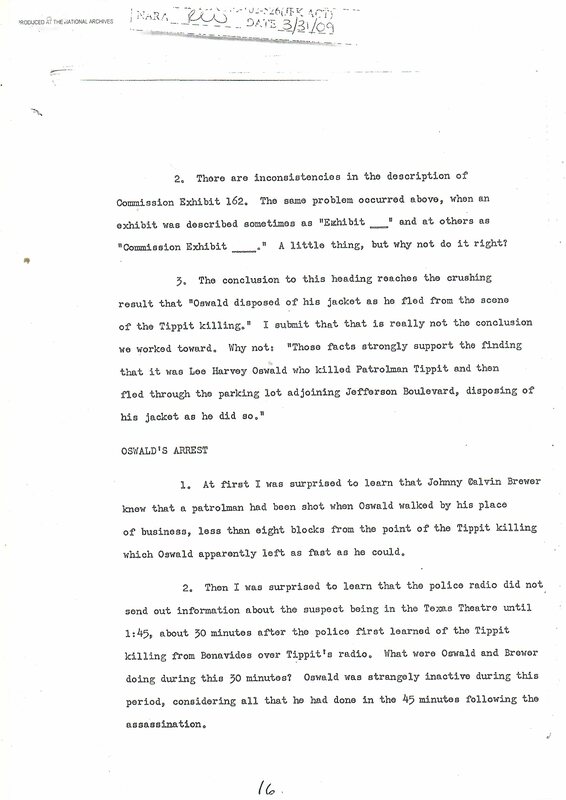 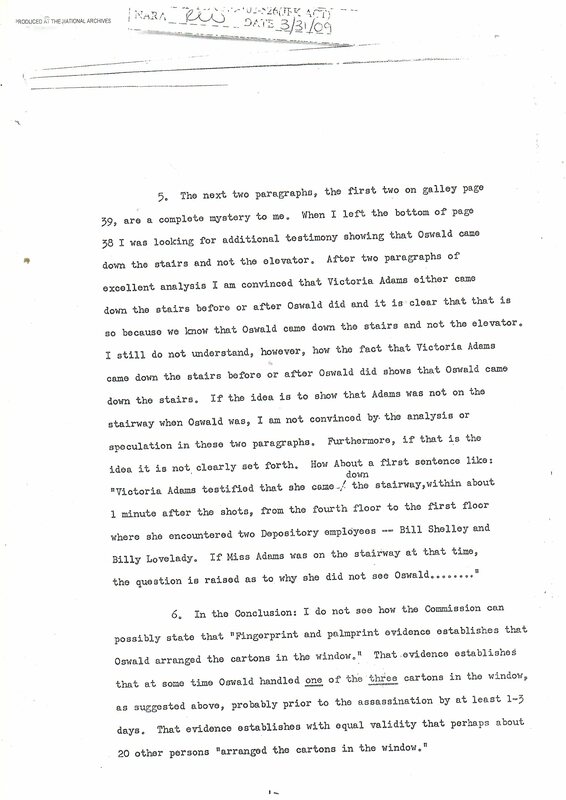 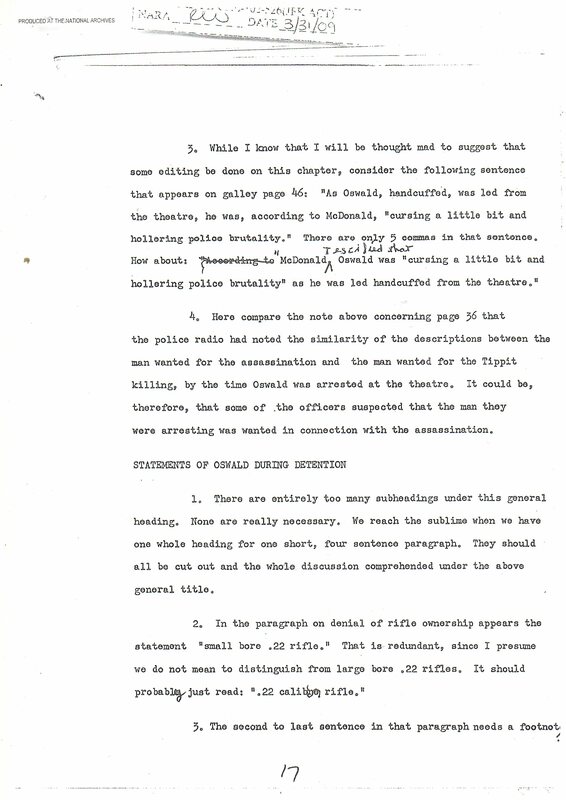 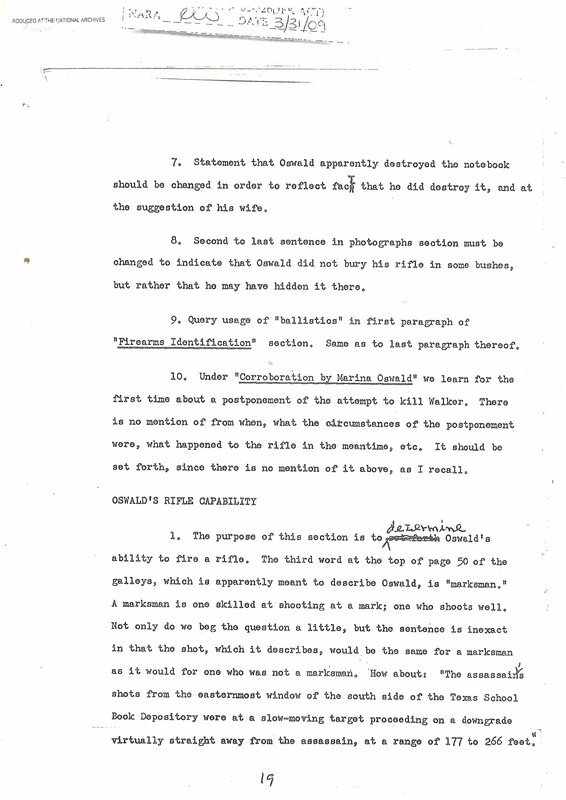 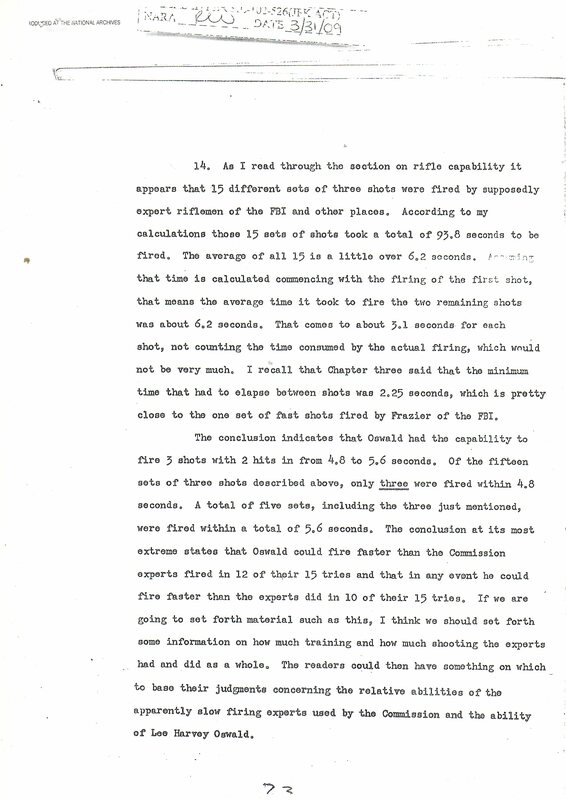 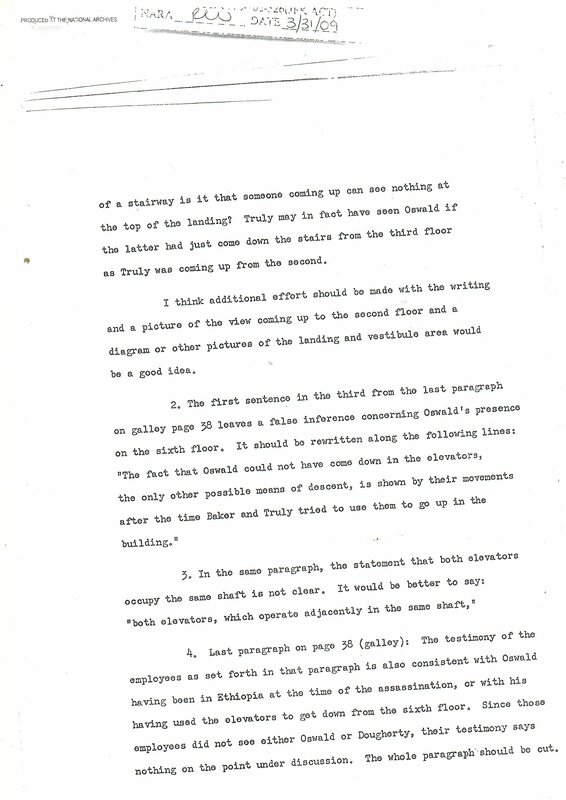 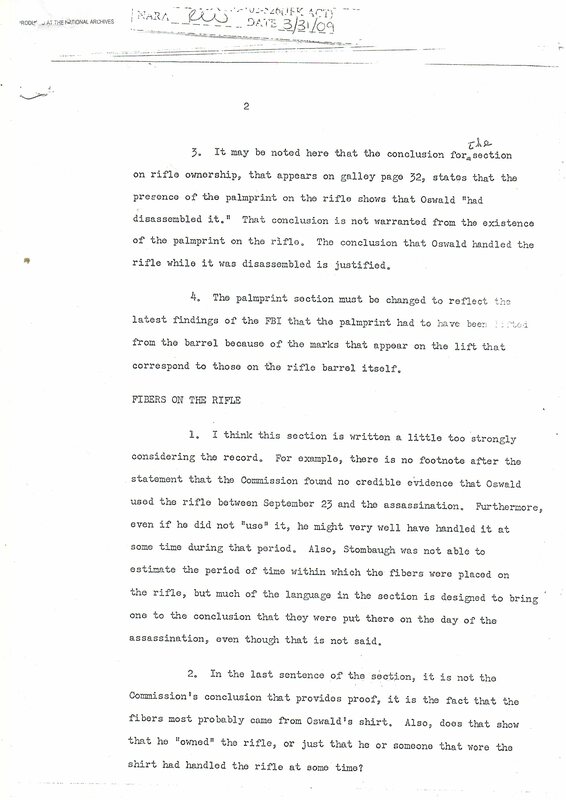 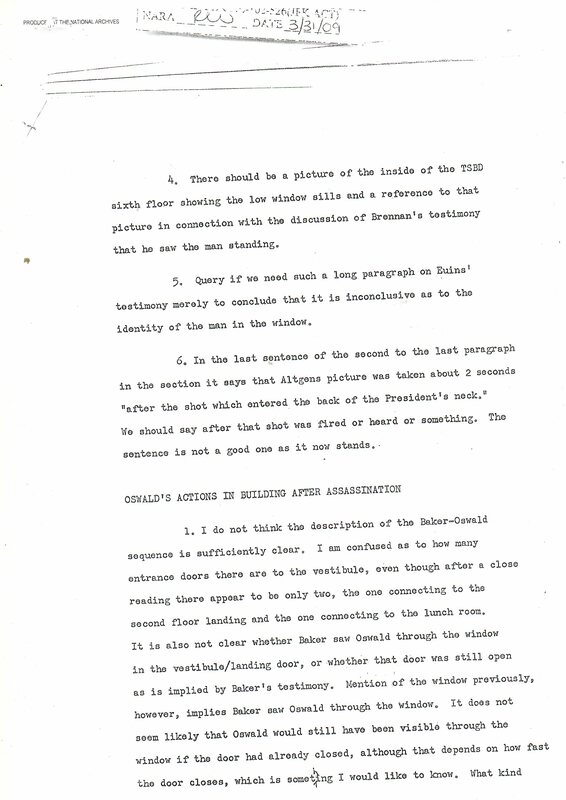 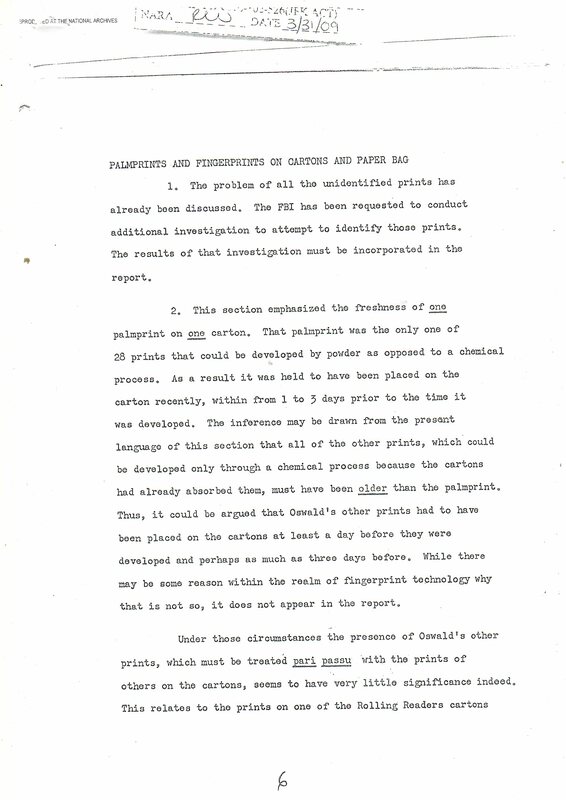 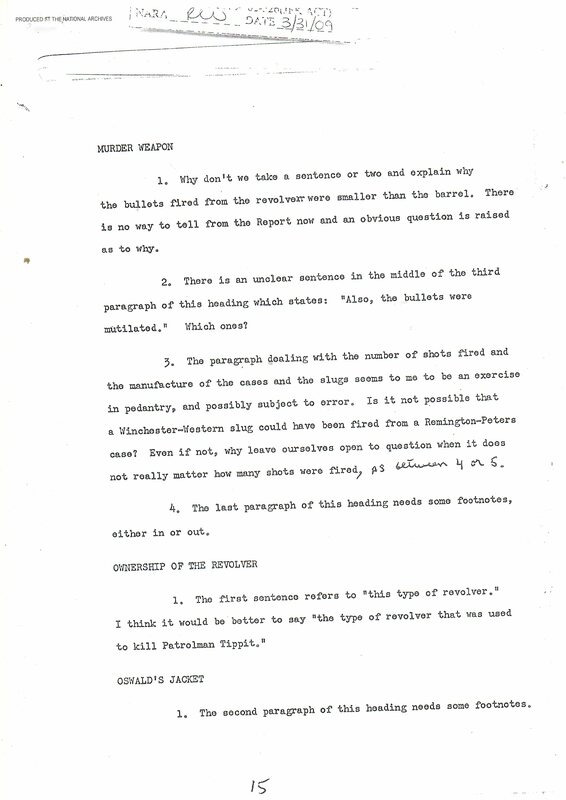 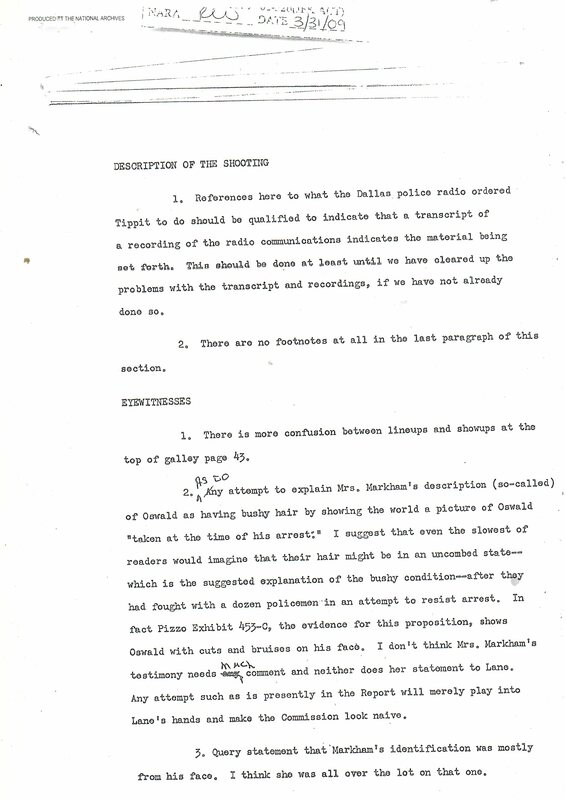 What is mentioned by Wesley Liebeler are: the rifle, the finger/palm prints on the boxes, Buell Wesley Frazier, the description of Oswald after his departure from the T.S.B.D., Amos Euins, questioning the 2nd floor encounter, Victoria Adams’ descent, the bus ride, the line-ups, the revolver, the arrest at the T.T., Johnny Calvin Brewer, Walker shooting, Marin Oswald, the rifle scope and its firing tests. 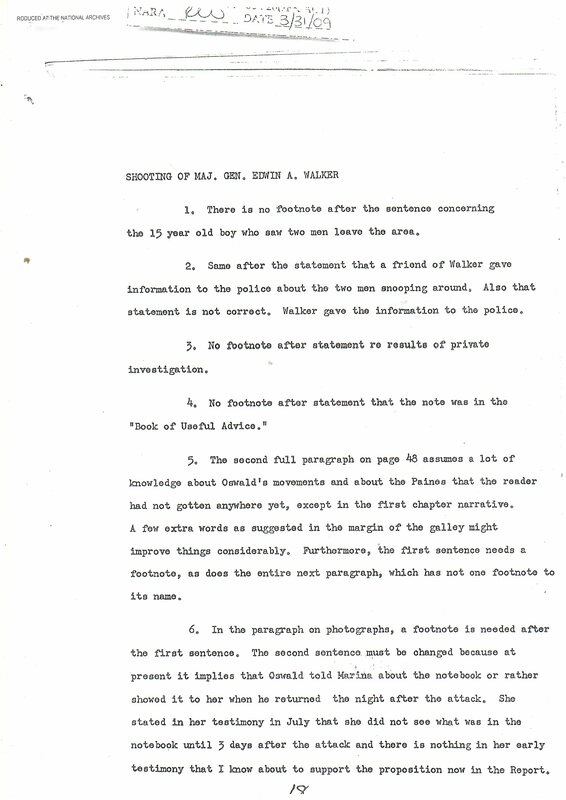 Even though the document is mentioned at the site above, you only get to read a summarisation, whereas now you have the whole thing at your own leisure. 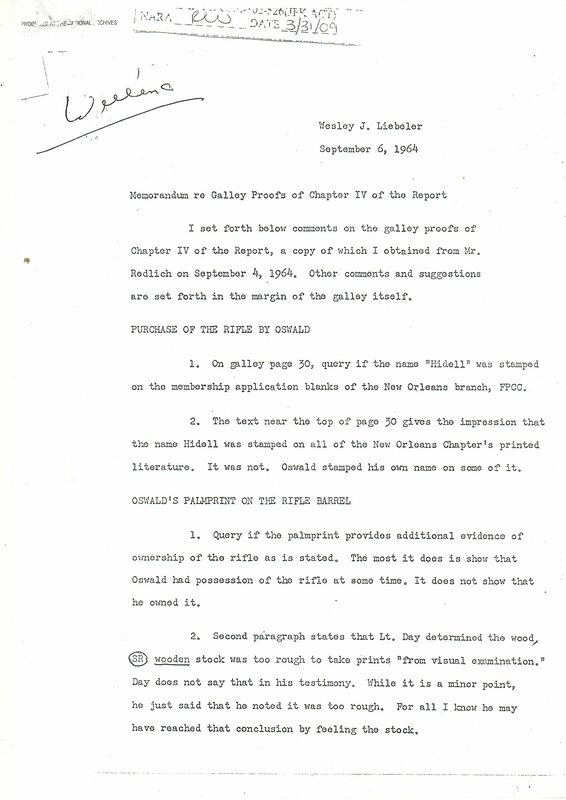 Wesley Liebeler on Chapter IV of the Warren Report.